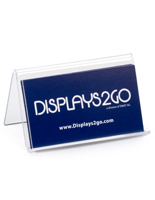 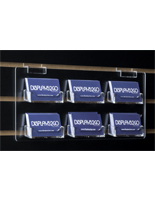 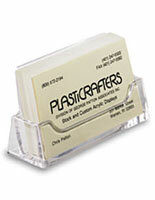 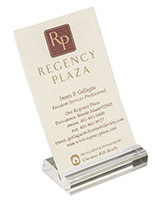 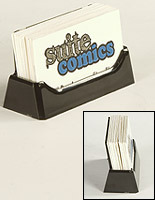 Add a contemporary touch to your business or non-profit with an acrylic business card holder. 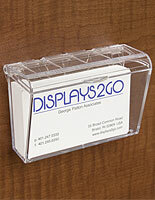 The see-through design of the clear plastic allows visitors and clients to read your company information without issue. 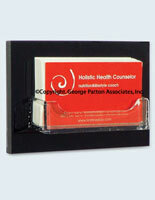 In addition, the transparent business card holders keep the focus on the cards rather than the display itself. 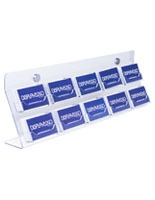 There are a variety of pocket configurations, so customers can choose which dispensers will work best. 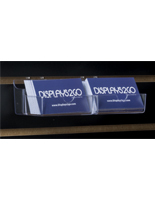 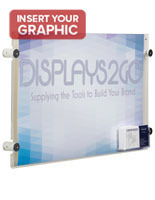 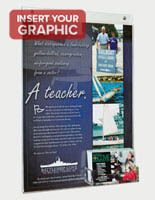 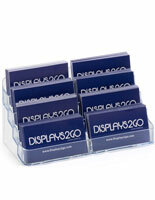 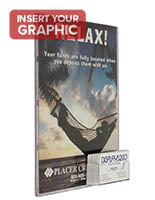 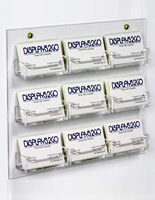 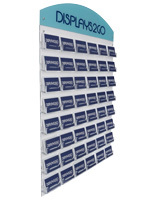 Single pocket displays range from traditional styles to acrylic slot block designs. 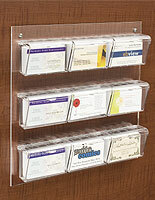 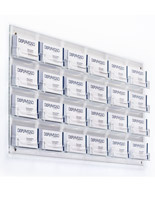 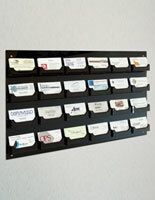 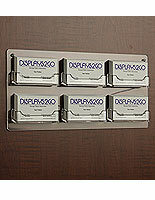 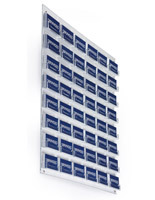 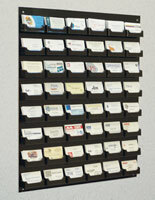 Multi-pocket holders can be purchased in desktop, wall mounted, and even slatwall configurations. 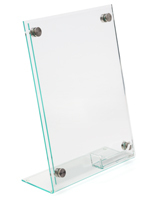 We even offer a variety of designs that mount to glass windows, which are excellent for cars and outdoor applications. 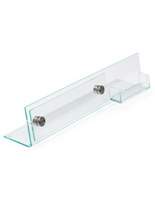 Although the vast majority of these acrylic holders are clear, some are actually feature colorful finishes. 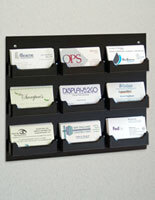 Black is the second most common color, but there are some other variations like teal as well. 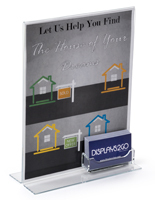 If you're looking to accomplish two jobs at once, consider a model that includes a sign frame or additional pocket for other types of publications. 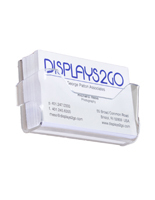 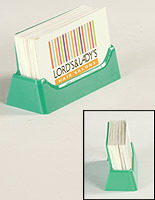 Dual-purpose units are great for educating current and potential clients, especially because they reinforce the displayed information with free business cards.